Note: this is not an entire System – it is just the LED pad alone – no controller, no power adapter, and no manual! 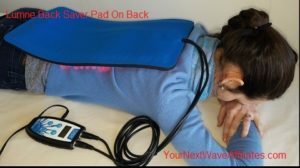 To order a Lumen Back Saver Photon Therapy LED Light System complete with controller, power adaptor, and manual, click here. 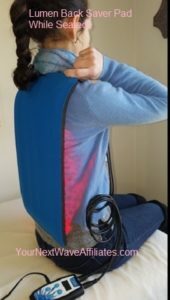 This amazing device can help increase circulation, reduce pain, improve range of motion, relax muscles especially good for large areas like back. Also great for pets. 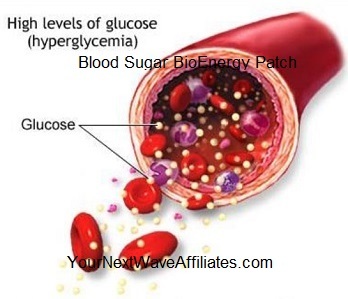 The Lumen Back Saver (IR/R) LED Pad is made of flexible neoprene and may be easily applied anywhere on the body. It measures 19 1/2” X 11 1/2” and features 240 visible red LEDs and 288 infrared LEDs. The Lumen Back Saver (IR/R) LED Pad is versatile and is suitable for a variety of uses. 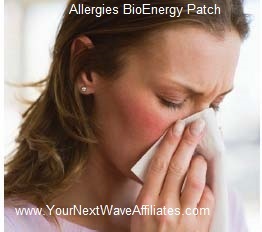 It is especially good to cover large areas for treatment such as the back. This pad is also great for pets! NOTE: The Lumen Back Saver (IR/R) Pad requires a Dual Port Controller and may not be run with other pads at the same time. Because this is a custom built pad, delivery time may take slightly longer due to demand. 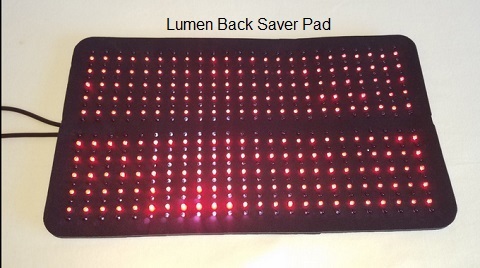 The Lumen Back Saver (IR/R) Photon Therapy LED Pad has a 30-day, full money-back guarantee*, and is warranted against defects in materials and workmanship for one year! 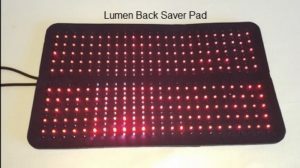 Lumen Back Saver (IR/R) LED Pad has a 30-day, full money-back guarantee*, and is warranted against defects in materials and workmanship for one year!